strong cardboard record mailer. Please feel free to get in touch any time with any questions or concerns. We try to grade conservatively with your satisfaction in mind. VG++Excellent condition. Only the lightest of wear-will play and sound Excellent. Covers will lookExcellent. VG+ Very Good Plus conditions. Records may have some light wear but will still have excellent gloss and sound great. Covers may have some light wear but no major problems. VG Very Goodcondition. Records may have some marks but will have no major problems. Covers will show some wear-any problems will be described. VG- Very Good Minus condition. Records and Covers will show some wear. Any problems will be described. 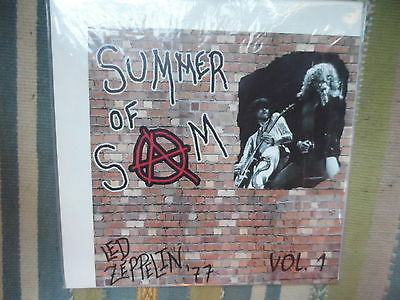 Summer Of Sam Rare Acetates Complete Volumes 1-7 All Mint-/Mint- Never played and Impossibly Rare! This was the original first 7 lp's. Note shipping will be higher as there are 7 lp's but will be at actual cost.Please email with any questions or other requests.